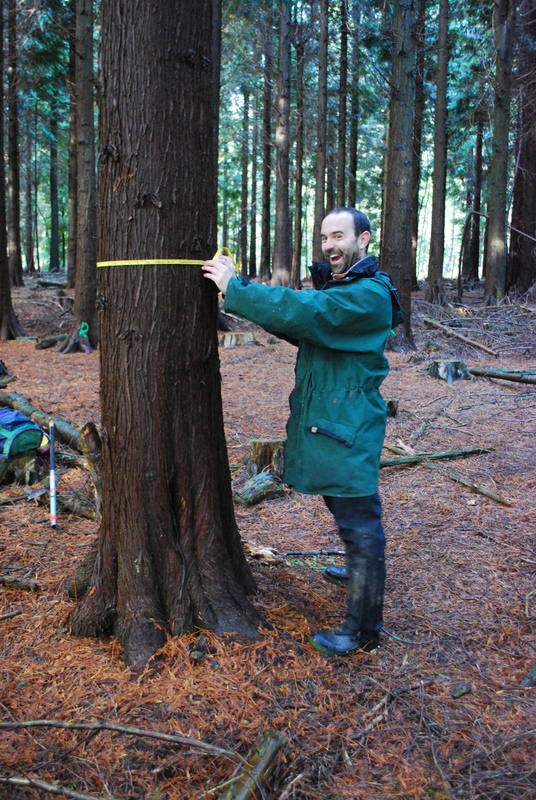 We are delighted that PhD student, David Gil-Moreno, has won a prize as coauthor of the article “The Redwoods and red cedar” published in the October Quarterly Journal of Forestry. 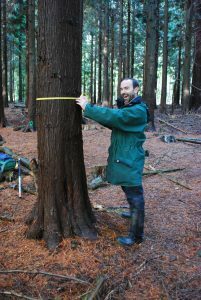 Western red cedar is one of four alternative conifers included in David’s research project – which is thanks to the financial support of the Scottish Forestry Trust, Forestry Commission Scotland and Cyfoeth Naturiol Cymru (Natural Resources Wales). 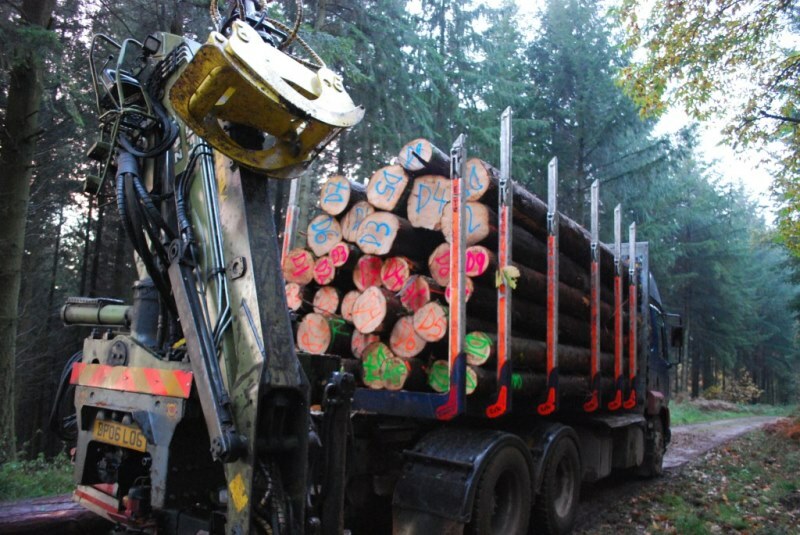 The article, which concludes that western red cedar and coast redwood might find a “significantly increased” role in British forestry under predicted climate change, has won the Royal Forestry Society’s (RFS’s) prestigious James Cup. – and former Oxford University academic and author Dr Peter Savill. It appeared in the October 2016 issue of the Quarterly Journal of Forestry and is part of an RFS Species Profile Project looking at tree species with potential for wider use in Britain to enhance forest resilience. It can be read in full at www.rfs.org.uk/learning/ by following the forestry knowledge hub/ species profile links. 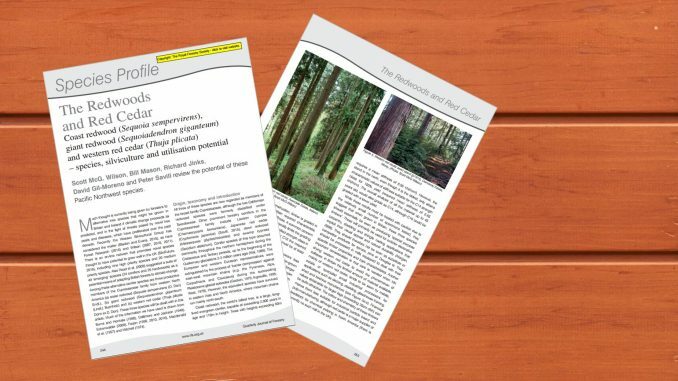 The authors reviewed the latest research for coast redwood (Sequoia sempervirens), giant redwood (Sequoiadendron giganteum) and western red cedar (Thuja plicata), covering origin and taxonomy, climate site and soil requirements, natural regeneration, seed production and nursery conditions, provenance issues, growth and productivity, pests and disease and timber properties and uses before considering each species’ potential in British forestry. Well done to all the authors. The Royal Forestry Society (RFS) is an educational charity and one of the oldest membership organisations for those actively involved in woodland management.